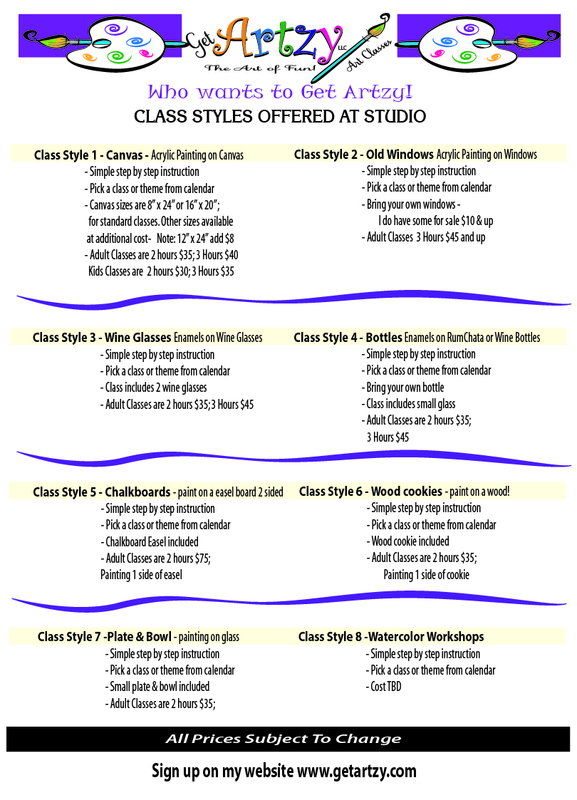 Window Classes = $45 per artist and up – Bring your own window, or buy one from me for $10 and up, must be purchased 3 weeks prior to class. 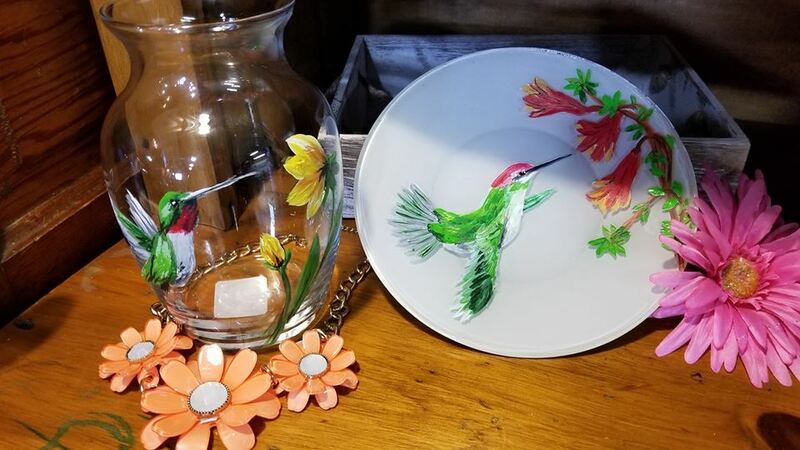 Glass Plate or Vase! 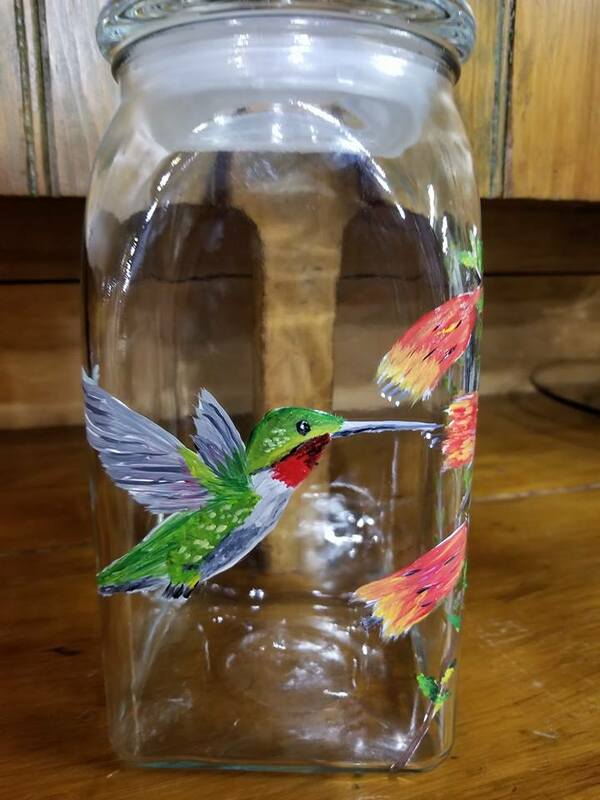 Hummingbirds! 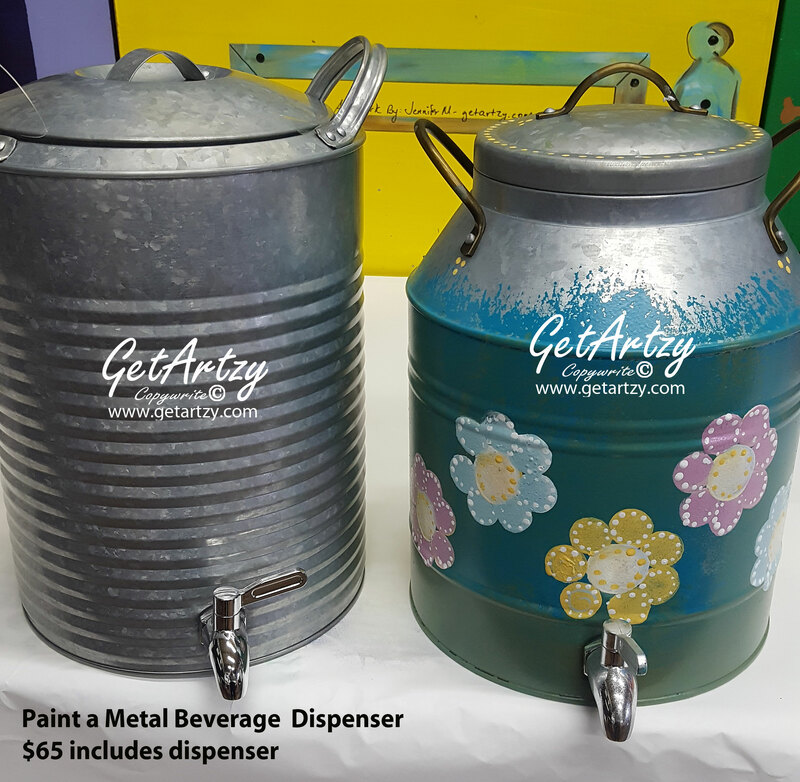 Metal Beverage Dispenser = $65 per person includes metal dispenser. SPECIAL!!! 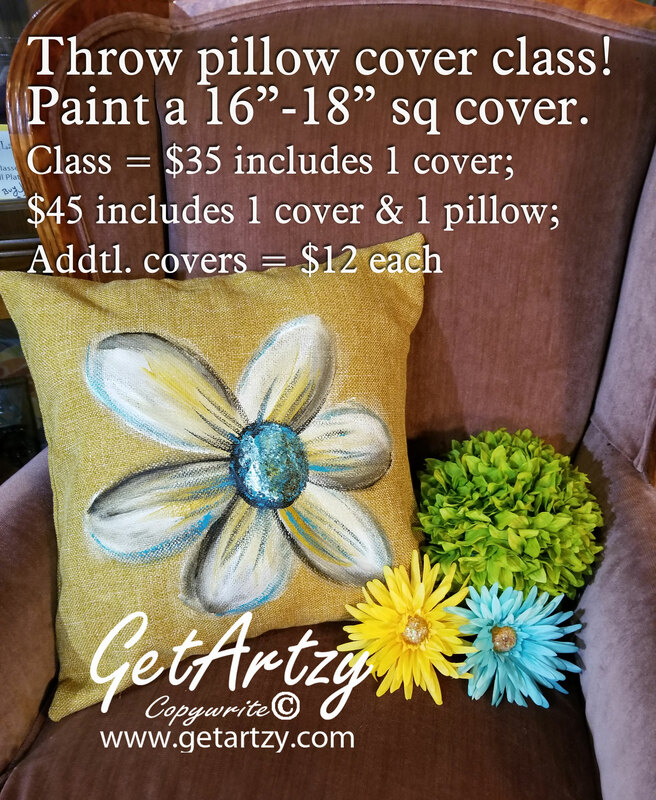 If you book 10 to 16 people for this class as a private party = $55 per person! 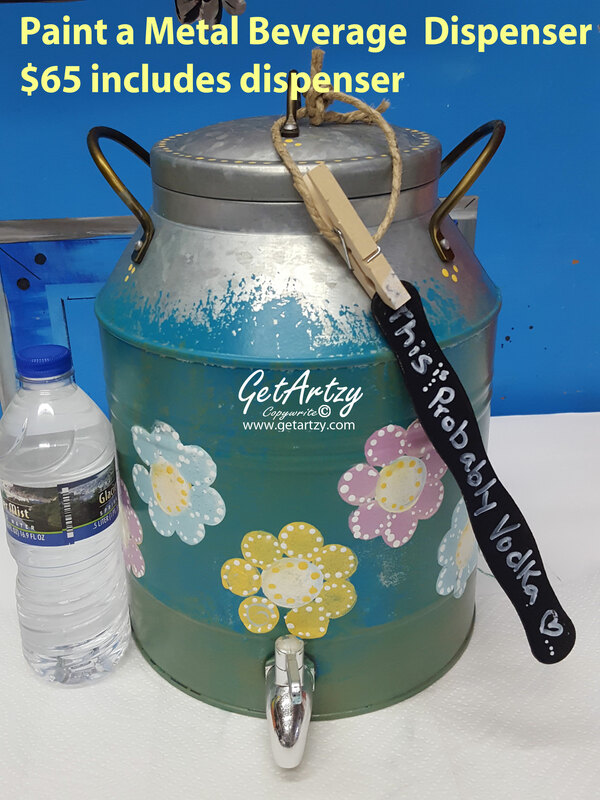 Must be a booked private party and deposits paid.